Sorry for the paucity of posts. After a year in Japan, I have returned to Yale and been bombarded with work. One of my last gigs in Japan, however, was a conversation on 18 August 2018 with the documentarist Hara Kazuo after a screening of his A Dedicated Life (Zenshin shōsetsuka, 1994), which was shown as part of a retrospective of his work at Uplink in Shibuya (an image of the flyer is on the right). It was the first time I had done an event with Hara-san since the Berkeley conference in May 2009 dedicated to him. The theater was basically full and we had a great conversation. The talk centered on a number of interesting connections. On a personal side, A Dedicated Life recalled my first interview with Hara-san back in 1993 for Documentary Box, the journal of the Yamagata Film Festival that I later edited for a couple of years. In it, he talked about the difficulty of filming a subject who was gradually fading away in front of his eyes. In this case, it was the novelist Inoue Mitsuharu, whom Hara started filming only to find out he had cancer. Inoue was one of those nonconformist characters Hara likes to focus on like Okuzaki Kenzo of Emperor’s Naked Army Marches On (1987) fame, one who stand out in society. Inoue was not only a forceful presence, who performs his idiosyncrasy, but also a womanizer. Yet his body slowly wears away on screen. Hara-san talked about the difficulty of filming such a disappearing subject. To me, that connected A Dedicated Life to another film: Hara’s most recent documentary Sennan Asbestos Disaster (which I talked about in my report on YIDFF 2017). It does not suffer from seeing a rebellious character fading away on screen; rather, there is no such strong character to begin with. 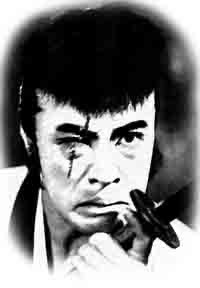 What Hara-san discussed in his interview with me in 1993 in a sense became the on screen conflict of Sennan, as the latter part of the film reveals Hara desperately trying to create a similarly sharp (tongatta) figure. Like Goodbye CP (1972) and Extreme Private Eros (1974) before it, A Dedicated Life is about the body, as Hara appears to obsessively seek out the body that is withering away, filming examination after examination of Inoue’s body, and even surgery itself. Inoue, always the performer, likes to show his scars, too. Hara talked about his own experience with the student movement, where his own lack of participation led him to focus on those who throw their bodies on the line, regardless of the principles of the “human documentary." Interestingly, it was the fading away of Inoue’s body that revealed what the performance was hiding. Hara talked about the difficulties of pursuing Inoue’s fabricated past—especially about a zainichi classmate who became a prostitute—when he was still alive. It was only after he died that Hara could investigate. Hara-san stressed, however, that the biggest lie in the film is not that of Inoue, but of Setouchi Jakucho, who boldly prevaricates in her eulogy at Inoue’s funeral that their relationship was Platonic (even a cursory reading of her Japanese Wikipedia page shows that is false). A Dedicated Life is in a sense a turning point in Hara’s career because there he directly takes on fiction film for the first time. We talked about how the film, while adopting the stylistics of the historical documentary in showing Inoue’s past through archival images and recreations, utilizes shots that, to the astute viewer, signal its fictionality. 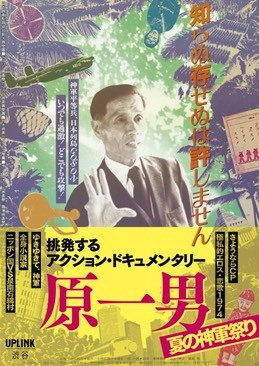 Hara is in effect challenging his viewers to find the fiction in his film that Hara similarly finds in Inoue’s life story. What is intriguing is that such moments of fictionality revolve around women and the gaze, and I would argue lay the grounds for Hara’s first fiction film, The Many Faces of Chika (2004). I reminded Hara in our talk that I actually spoke about that film in the Hara symposium held at Berkeley in 2009. It is similarly a film that revolves around the gaze, as well as a female character whose truth cannot be determined. I had many more issues to discuss, but Hara’s style is to attack, so he finished by bombarding me with a few questions about why A Dedicated Life did not succeed abroad (clearly the lack of knowledge of the subject’s context was one factor) or what I thought of political correctness (I had to explain to the Japanese audience that the concept of PC is the product of a right-wing culture disturbed that those who were subordinate have risen to criticize how they are represented). I told him that his films should challenge such efforts to maintain power through representation. For those who want to check it out, I have uploaded my old interview with Hara-san on my Yale repository. Finally, I want to thank Toba Koji who came to the Uplink event and provided me with a typed summary of the discussion.